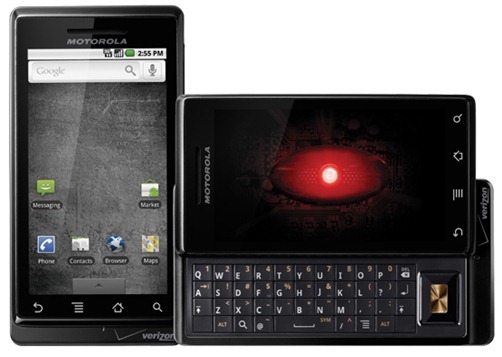 Motorola Droid on Verizon has been successfully rooted for direct access to the file system. It works on both the original Android 2.0 Rom which ships with Droid, and the latest Android 2.0.1 OTA (over the air) software update which was recently released for the Droid phone. Root access will enable you to modify the phone’s firmware to whatever you want to have on your phone like themes, apps and custom Roms just like you do on the jailbroken iPhone. You can follow the simple step by step guide posted below to root your Droid phone without having to worry about bricking it. It works on both Android 2.0 and 2.0.1 update. Credit for this hack goes to AllDroid. Step 1 (Recommended): Update to the latest Android 2.0.1 OTA (over the air) software update. Step 2: Download the file for Android 2.0.1 OTA update for Motorola Droid posted in the discussion here. Step 4: Move it to the SD Card on your phone. Step 5: Power off the DROID and power back on while holding the X key. Step 6: When you see a "/!\" symbol, press both vol+ and camera. Step 7: Now simply follow the onscreen menu to install update.zip file. Step 8: Reboot your Droid phone. That’s it! You should now be able to run "su" from your adb shell. Feel free to ask me any question should you run into any problem in rooting your Droid phone.